Massively parallel, intracellular recording of a large number of mammalian neurons across a network has been greatly desired in neurobiology, but it has proven very difficult to achieve. For instance, the intracellular recording by the patch clamp electrode boasts unparalleled sensitivity that can measure down to synaptic events, but it is too bulky to be implemented into a dense massive-scale array, and thus far only ~10 parallel patch recordings have been possible. Optical methods––e.g., voltage-sensitive dyes/proteins––have been developed in hopes of parallelizing intracellular recording, but they have not been able to perform recording from more than ~30 neurons in parallel. As an opposite example, the microelectrode array (MEA) can record from far more neurons, but this extracellular technique has too low a sensitivity to tap into synaptic activities. In this talk, I would like to share our on-going effort, the development of a CMOS chip that massively parallelizes intracellular recording from a large number of mammalian neurons forming a network, and its applications in functional connectome mapping, high-throughput electrophysiological screening of drugs, and copying biological neuronal network for machine intelligence, where the last example will be a particularly important focus of the presentation. 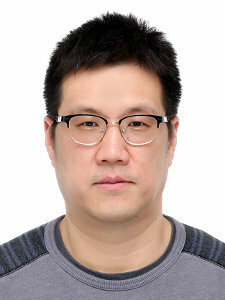 Donhee Ham (http://ham.seas.harvard.edu) is Gordon McKay Professor of Applied Physics and EE at Harvard. He earned a B.S. degree in physics from Seoul National University. Following a 1.5-year military service in South Korea, he went to Caltech for graduate training in physics. There he worked in LIGO under Professor Barry Barish while in physics, and later obtained a Ph.D. in EE winning the Wilts Prize for the best EE thesis. The intellectual focus of his group at Harvard is on neuro-electronic interface, NMR biomolecular spectroscopy, integrated circuits, and quantum and low-dimensional devices.